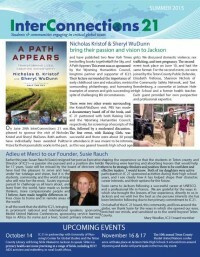 IC21 sent a group of students from Jackson to Berkeley, CA for a Model UN conference, we spent a day doing service with students from the Jackson Hole Community School along with guests from a variety of countries visiting thru the Wyoming Council for International Visitors, and we are preparing to welcome former Senator Al Simpson and former Governor and Ambassador to Ireland, Mike Sullivan who will discuss the topic of civility in politics. 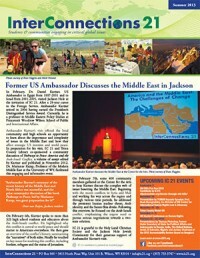 They will be speaking at the Center for the Arts, here in Jackson, on September 13th. 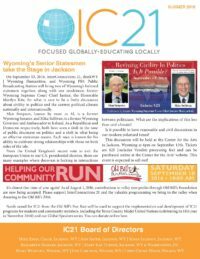 The discussion will be moderated by former Wyoming Supreme Court Justice, Marilyn Kite. 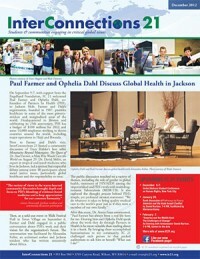 It’s sure to be a lively discussion! 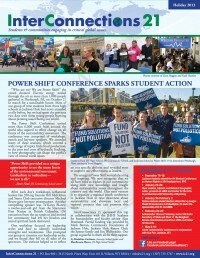 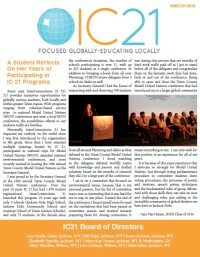 A Student Reflects On Her Years of Participating in IC 21 Programs, Local Students to Travel to Berkeley, CA, to Participate in a Model UN Conference, Trevor Houser Connects Global Environmental Policy to Wyoming, Mark Jenkins Returns to Jackson to Discuss His Epic Burmese Adventure. 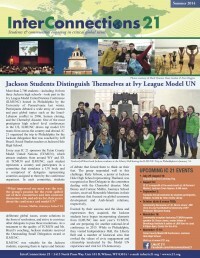 Students attend IV League Model UN in Philadelphia, new IC 21 buzz, Jackson students head to Tanzania for service & learning, venerable US Ambassador Thomas Pickering speaks in Jackson, and much more. 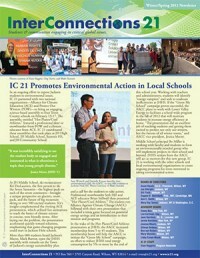 IC 21 Promotes Environmental Action in Local Schools, Upcoming Sponsorship of Student Trips to Ghana and Austria, TCMUN ’11 Sets Record, WY Students Attend Human Rights Conference at UN, IC 21 Explores Student Projects on Wind River Reservation. 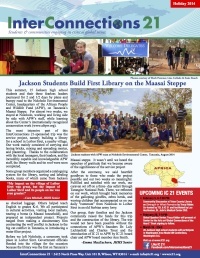 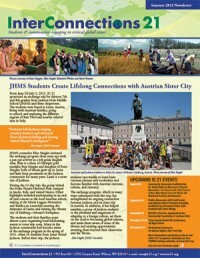 JHMS Students Create Lifelong Connections with Austrian Sister City, Trip to Ghana Opens Eyes, Paul Farmer and Ophelia Dahl Talk about Partners In Health in Jackson Hole, Student Action for Sustainability.